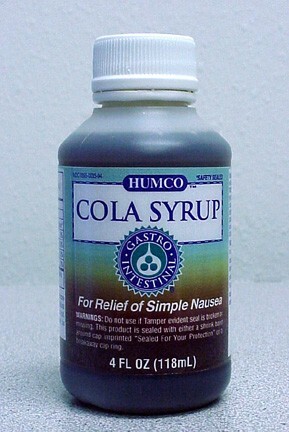 Cola syrup is all old-fashioned remedy for nausea that you might find helpful. It’s Coca-Cola syrup without the carbonation. It does contain caffeine, though. You can buy Humco Cola Syrup at drugstores or online for around $3 for a four-ounce bottle.